Not many people enjoy the hassle of organizing a flight, hotel room and restaurants along the way. You’ve got an RV which means you can just pick up and go! Fortunately for you, All Insurance, Inc. in Lacey offers specialized RV insurance for your Olympia RV to go along with you. It’s More Than a Vehicle, It’s A Lifestyle! Total Loss Replacement – provides you with a new, comparably-equipped RV if your RV is totaled within its first few years. 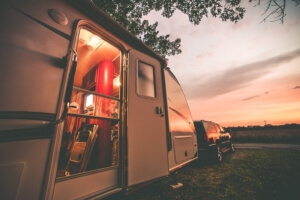 Replacement Cost Personal Effects – pays for the replacement of your personal items in your RV that resulted from a covered loss. Coverage options vary, so ask about what options are available for you today. Vacation Liability – pays for Bodily Injury and Property Damage losses that occur at your vacation site. Ask your agent about policy limits. Emergency Expense coverage – pays your expenses for hotels and transportation due to a covered loss. Coverage options vary, so ask your agent what option is best for you. No Windshield Deductible – Zero glass deductible available through some companies. Get Out on the Road and Enjoy the World of RVing! We offer coverage for recreational vehicles including Type A motorhomes, Type B motorhomes, and Type C motorhomes, as well as sport utility recreational vehicles. We also offers insurance coverage for towable RVs, including: travel trailers, fifth-wheel travel trailers, travel trailers with expandable ends, folding camper trailers and truck campers.